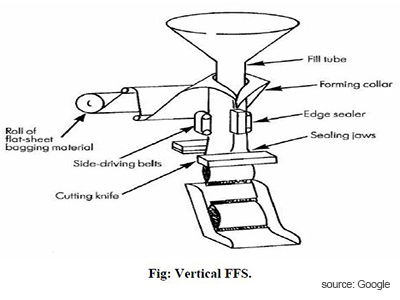 What are Form Fill Seal (FFS) Machines? 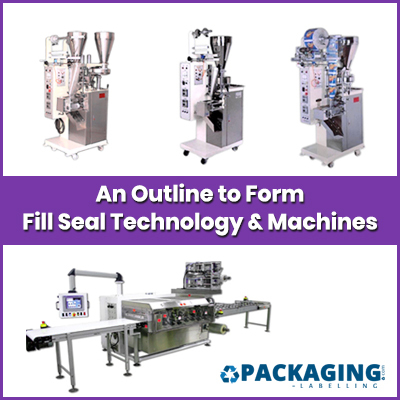 Form Fill Seal (FFS) machines are packaging machines in which filling and sealing of a package take place on the same machine. Form Fill Seal machines are highly sophisticated that features computer interfaces and control networks. Many companies prefer to use FFS systems as they are included with greater benefits such as speed and versatility. According to MarketsandMarkets, the form-fill-seal equipment market size is projected to grow from USD 15.31 Billion in 2016 to USD 19.47 Billion by 2021, at a CAGR of 4.92% from 2016 to 2021. 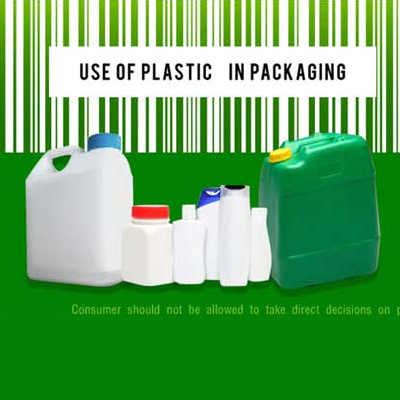 The form fill seal industry is expected to witness a huge number of new entrants over the forecast period owing to continuous expansions in the packaging industry. There is an up surging demand for retort pouches and stand-up pouches driving the bags and pouches segment in the form fill seal equipment market. 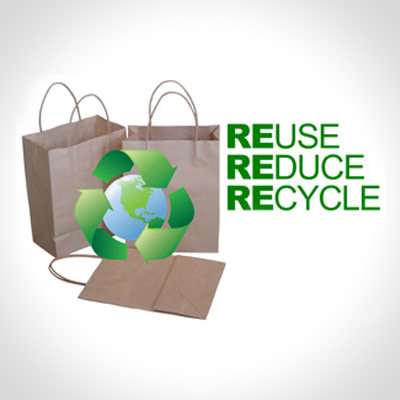 With the increase in demand for light weight and economical packaging solutions, the demand for bags has increased. Vertical Form Fill Seal (VFFS) machines are flexible machines containing a type of automated assembly-line product packaging system. These machines are used in the packaging industry for food, and a wide variety of products efficiently and effectively. The machines construct plastic bags out of a flat roll of film, while simultaneously filling the bags with product and seals the bags. Both solids and liquids can be bagged using Vertical Form Fill Seal (VFFS) machines. • liquids: usually one-time (portion) packages such as ketchup, mayonnaise, salad dressing or bath gel. Horizontal Form Fill Seal (HFFS) machines are commonly used in the packaging of solid items that do not flow. These machines are designed with two moulding stations and two sealing stations so that changing from one size of pack to another can be done automatically with no downtime. This helps in factories where changeovers occur frequently. This machine consists of a Product Filler & the HFFS Bagging Unit. The Product Filler (Liquid / Paste – Piston, Peristaltic Filler etc, Solids - Fillers - Multihead or Linear Weighers, etc., Powders & Granules - Auger Fillers, Cup Fillers, etc.) controls the amount of product to be dispensed. 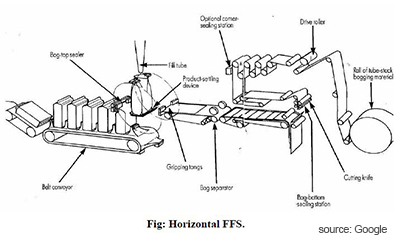 Generally, the HFFS packaging machine is used when the product is fragile and cannot withstand a high drop. Companies prefer these machines when the customer requires a stand up pouch or a pouch with a zipper and or with a spout that facilitates ease of opening and comfortable consumption of products. Using these machines, shaped pouches, can be delivered which result in better product aesthetics and shelf presence. Form Fill Seal (FFS) technology is an automated computer operated technology which helps to prepare sterile products. 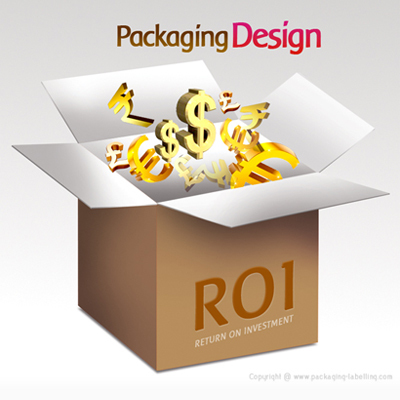 Manufacturers prefer this technology to produce better packages quickly and more profitably. The FFS technology is used to reduce the contamination during production in a closed sterile chamber of a machine. This helps to reduce the chances of contamination during the manufacturing of sterile products. 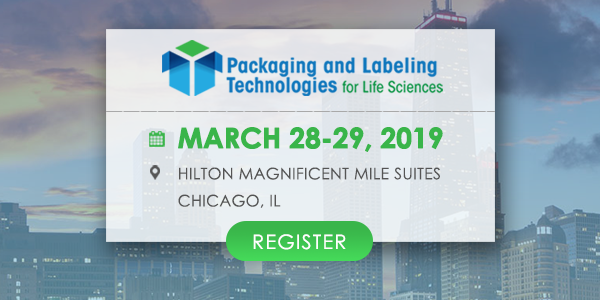 In pharmaceutical packaging, this technology helps to pack I.V. infusion bottles. Steps such as formation of container, filling of container with content and sealing of container are carried out consistently, consecutively, automatically in a closed sterile chamber of machine. Applying this technology as part of packaging helps to increase the production rate in very low operational cost with high assurance of sterility. • It is now economical for packing low density, aerated powders such as wheat flour, talcum powder, skimmed and whey powder at medium speeds. 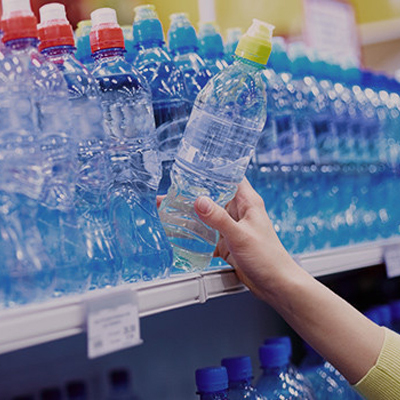 Insight: What are the Main Advantages of Stretch and Shrink Sleeve Labels?